COMMENTARY — I vividly remember the last time I watched the annual Days of ’47 Pioneer Day Parade in person. My family would customarily set up camp in Liberty Park, where we could watch the runners in the marathon cross the finish line before the floats streamed into the park for the home stretch of the parade. One of the marathon runners literally collapsed in the intersection less than half a block away from the finish line. I can only imagine the hours, and likely years, of training that runner had endured, not to mention the lion’s share of the race that had already been completed before he went down. However, in spite of an otherwise monumental effort, he just couldn’t make it to the finish line, came up short and was carted away in an ambulance. That is pretty much the storyline experienced by Utah’s teams this past week — in spite of otherwise monumental efforts, they just couldn’t make it to the finish line, came up short, and returned home with nothing but losses to show for their efforts. 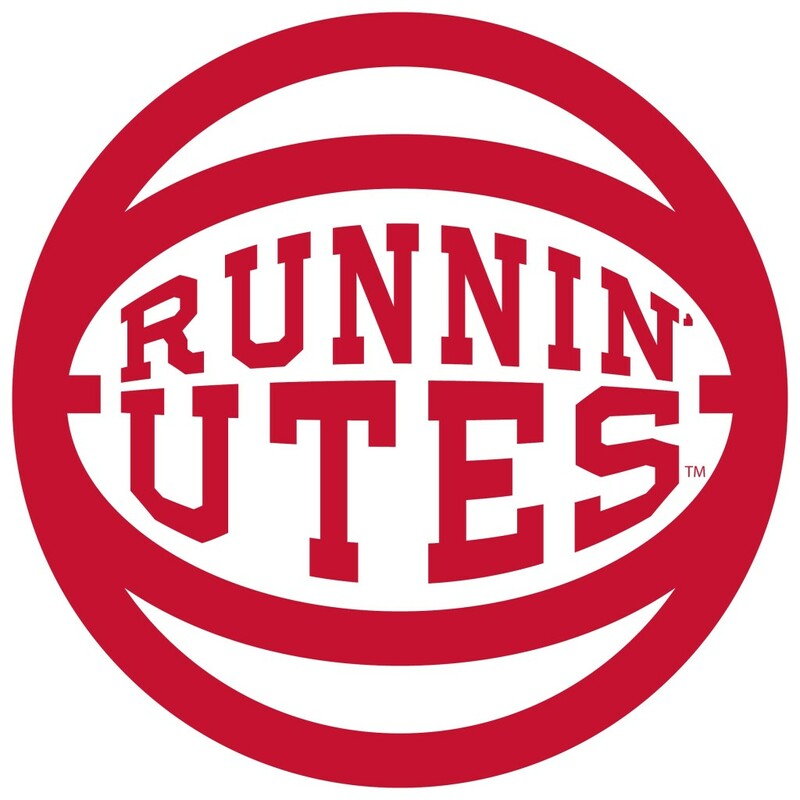 Let’s start with the Runnin’ Utes, who went 0 for 2 in the Beaver State last week. Utah started their journey in the picturesque town of Corvallis to take on Oregon State. The Runnin’ Utes out-shot the Beavers from the field 51.1 percent to 47.5, yet still lost. When Utah senior Brandon Taylor fouled Oregon State freshman Stephen Thompson, Jr., on a long shot barely across midcourt with one second left on the clock, it was easy to forget which player was the seasoned veteran and which player was still earning his wings in his first collegiate season. Nevertheless, the loss does not lay at the feet of Taylor alone, but rather this was a true team loss as the game never should have come down to a last-second shot anyway. The Runnin’ Utes had a 10-point lead with 7:44 left in the game, but from then on, Oregon State slowly whittled the lead down (not unlike a Beaver gnawing into the trunk of a tree). During a horrific 3-minute stretch with less than 5 minutes left to play, Utah was scoreless while missing three shots (including a lay-up) and committing five turnovers, resulting in a 4-point lead disappearing into a 3-point deficit. That was pretty much the beginning of the end, as the wheels came off and the Runnin’ Utes went down with the finish line in sight. Utah did not fare any better in Eugene. Similar to the previous game, the Runnin’ Utes out-shot the Ducks from the field 50 percent to 43 percent, as well as from the 3-point line (43-33), and even outrebounded Oregon 30-28, but still lost by double digits. Utah had played well for the first part of the game and was within a single point of Oregon when Jakob Poeltl went to the bench in foul trouble with 2:57 left to play in the first half. The Ducks immediately stretched the lead to 8 (their biggest lead of the half), and took a 6-point lead into the locker room at halftime. 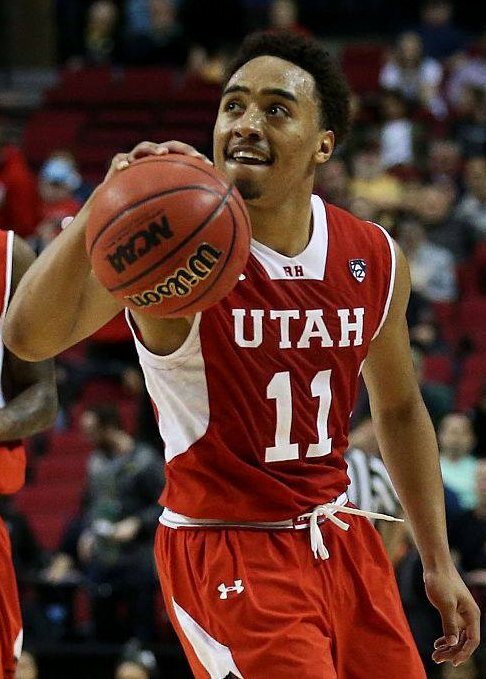 Brandon Taylor and the Runnin’ Utes have suffered too many turnovers lately. The Runnin’ Utes never really recovered. Oregon had a double-digit lead for the vast majority of the second half and eventually won by 10 points. Utah is simply a different team when Poeltl gets into foul trouble and has to spend time on the bench, as well as be more tentative when he returns to the floor. There was a significant common denominator in both games — double-digit turnovers by the Runnin’ Utes (12 against the Beavers, and 14 against the Ducks). Oregon State had a 6-point advantage over Utah in points off of turnovers (which more than accounted for the 2-point margin of victory), and similarly, Oregon enjoyed a 14-point advantage in points off of turnovers (which, again, more than accounted for the 10-point margin of victory). If the Runnin’ Utes are going to make any noise in the Pac-12 Tournament or the Big Dance, they are going to have to learn how to take better care of the ball. They might have to make some defensive adjustments as well. Oregon State’s Gary Payton II scored 20 against Utah and Oregon’s Dillon Brooks torched the Runnin’ Utes for 30. The Runnin’ Utes return to the friendly confines of the Huntsman Center this week, with five of their last seven conference games at home. Utah hosts Washington on The Hill on Wednesday with a 7 p.m. tip on ESPN2. Washington State then comes to town for a 3 p.m. Valentine’s Day matinee on Sunday, which will be televised on the Pac-12 Network. The Red Rocks didn’t fare much better than the Runnin’ Utes on the road last week. Utah had its first conference road meet of the season against a very good UCLA squad. The Bruins were ranked fifth in the nation going into last Saturday’s meet, and the Red Rocks were right on their heels at No. 7. Utah led throughout the entire meet, with the highest team scores on the vault, bars and beam. The Red Rocks were still clinging to a narrow lead when the Bruins’ Sadiqua Bynum took the floor for the final routine of the meet. Bynum needed a 9.925 just to tie Utah, and she delivered a 9.950 to give UCLA the narrowest of victories at 197.100 to 197.075. Even though they came up short of the win, the Red Rocks’ 197.075 points represented their highest road score of the season and was second only to Utah’s 197.150 score at home against Arizona the previous meet. Additionally, Red Rocks Samantha Partyka and Breanna Hughes were one and two in the all-around results. In fact, UCLA had to score its season high in order to barely edge out Utah on the Bruins’ home floor. Next up for Utah is another home meet against Washington on Saturday at 7 p.m., which will be televised on the Pac-12 Network.Here’s hoping both the Runnin’ Utes and the Red Rocks can turn great efforts into actual wins on The Hill this week.